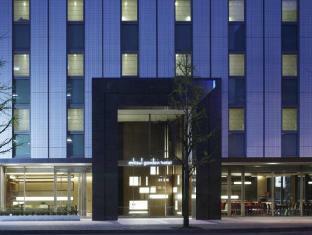 Mitsui Garden Hotel Sapporo is conveniently located in the popular Sapporo Station area. Featuring a complete list of amenities, guests will find their stay at the property a comfortable one. To be found at the hotel are restaurant, elevator, free Wi-Fi in all rooms, vending machine, safety deposit boxes. Guestrooms are fitted with all the amenities you need for a good night's sleep. In some of the rooms, guests can find blackout curtains, heating, internet access – wireless (complimentary), air conditioning, desk. Access to the hotel's massage, hot tub will further enhance your satisfying stay. A welcoming atmosphere and excellent service are what you can expect during your stay at Mitsui Garden Hotel Sapporo.